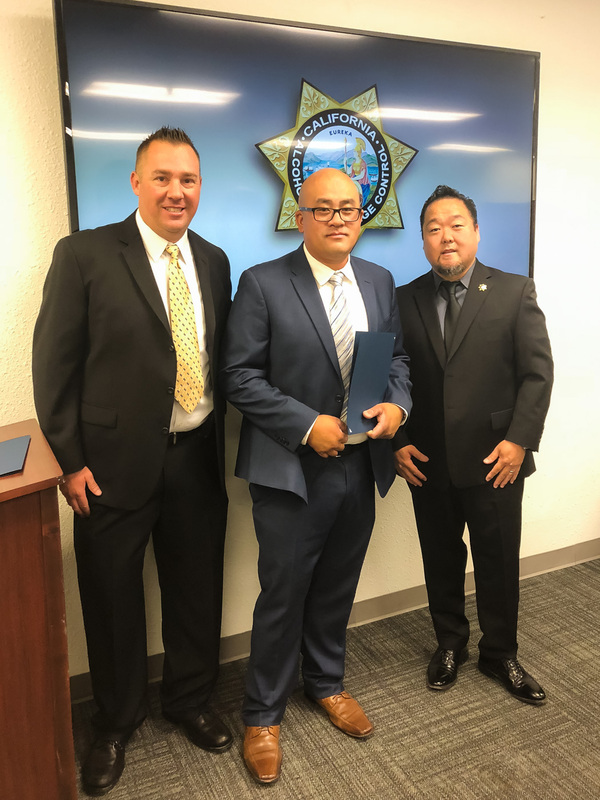 SACRAMENTO - On June 6, 2018, California Alcoholic Beverage Control (ABC) Chief Deputy Director Eric Hirata awarded two ABC agents the department’s first ever Life Saving Award for their heroic efforts in saving a man’s life on May 3, 2018. 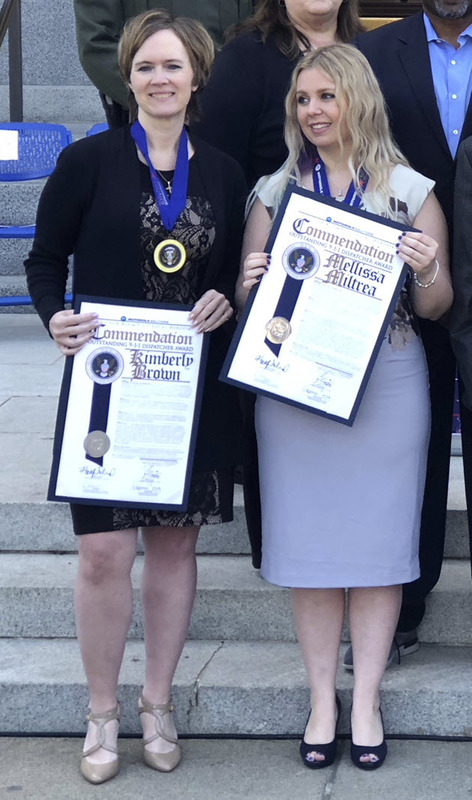 Agent Matthew Moore, a field training officer out of the Special Operations Unit-North and his trainee, Agent James Vangyi (Fresno office) were driving in Sacramento when they observed a 34-year-old man attempting to jump from a bridge. The agents immediately intervened. 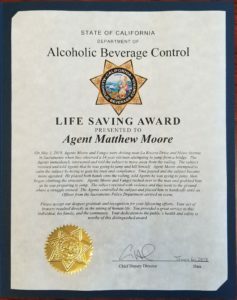 The suicidal man ignored their instructions to move away from the railing, and despite Agent Moore’s attempt to calm down the man to gain his trust and compliance, over time the man became more agitated. With both hands on the railing, the man told the agents he was going to jump, and he began climbing the structure. 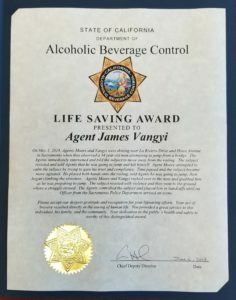 Agents Moore and Vangyi rushed over to the man and grabbed him as he was about to jump. The man became violent and the three went to the ground in a struggle. 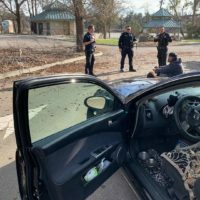 The agents controlled the man and placed him in handcuffs until an officer from the Sacramento Police Department arrived.